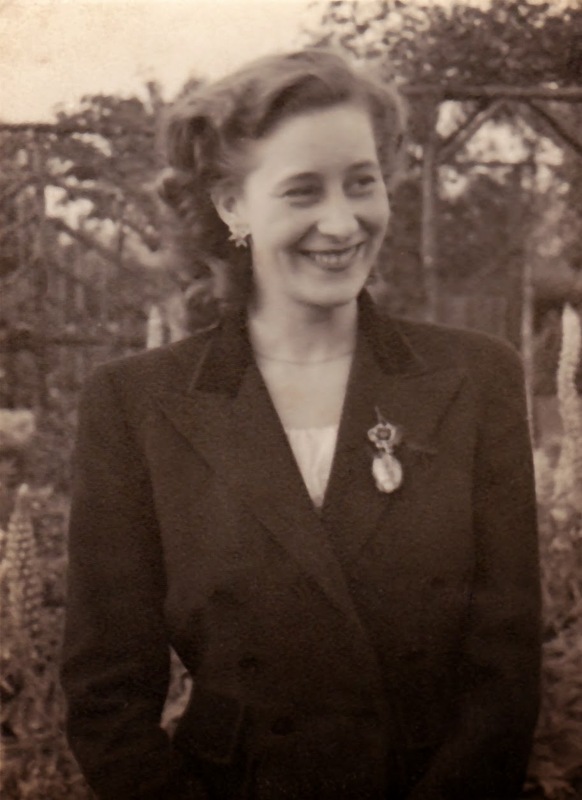 My mother would have been 92 yesterday. She passed away, after a decline in health, in November (the reason why my blogging was a little more erractic that month). Although it's nothing to do with information literacy, I'd like to use today's New Year's post to provide a short memorial to her (that's her on the right, in her early thirties). She was born Sheila Ivy Hancock in 1921, and was the second eldest of seven children. She is survived by my aunts Jane, Doreen and Margeret, but her brothers Jim (the eldest), John and Ted predeceased her. She was brought up by her maternal grandparents; my great-grandfather managed one of Thomas Tilling Ltd.'s stables, hiring out horses and carriages, near Baker Street in London. She survived childhood illnesses including rheumatic fever, and must have been bright and intelligent. She got a place to continue on at school, but was expected to leave school at 14 (by that time her grandfather had died, and they had to move away immediately, she later moved back with the rest of her family). Her first job, at 14, was as an apprentice seamstress at a couture house in London: after a year they offered her a sort of promotion, but by that time she was fed up of the long commute, long hours, low pay and volatile atmosphere, and she gave up the post. She was much happier taking up a more local job in a dairy shop, rising to become manageress at quite a young age. This work was interrupted during the war. 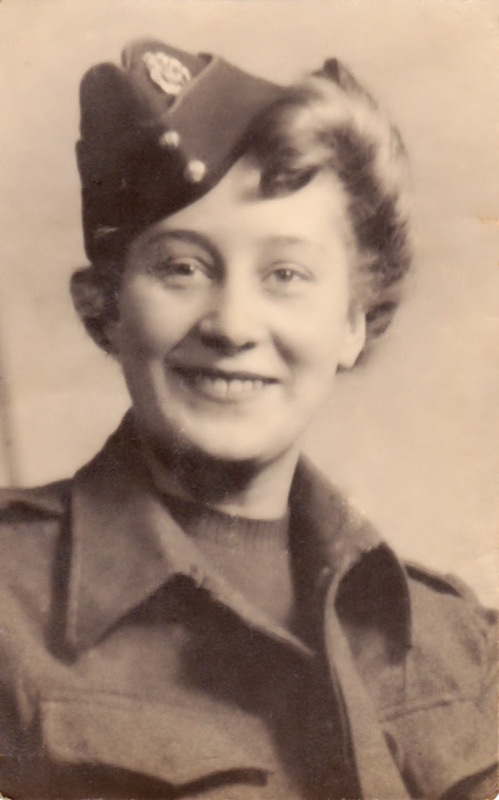 She experienced the London Blitz, with houses close by destroyed, and then she signed up with the ATS (Auxiliary Territorial Service). After she had returned to her job in civilian life and enjoyed some years of independence, she got engaged to, and then married, my father, Tom Starns, in 1951 at age 29. He worked in the family greengrocer and florist business with his brothers and sister. My mother moved to Essex with him, initially over a shop (where I was born, an only child, in 1953) and then to a house near Romford. My mother helped in the shop sometimes, but she preferred staying at home. She read to me a lot; I remember acting out the Teaparty scene from Alice in Wonderland with her. When I was 12 my father sold his part of the greengrocer business, and we moved to Patcham, in Sussex, near Brighton. 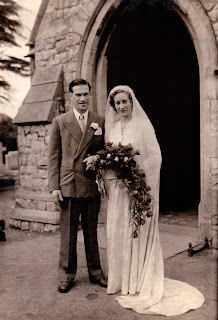 We had two shops: the larger one, a hardware shop, we lived above, and my mother managed full time. Oddly, this shop is still called T.C. Starns (my father's name) although the business must have changed hands a couple of times since she sold it. They also leased the next-door-but-one shop, which my father managed as an ironmonger's. Between them those two shops sold everything you might want in the hardware and ironmongery line, and neither of my parents ever got much of a holiday. My mother did excellent window displays to entice in the customers, got on well with the customers and was terrifically well organised. They were both still working in the shops when my father died suddenly of an aneurism. She had to keep the shops going for a while, so the business could be sold as a going concern, which was pretty awful for her. 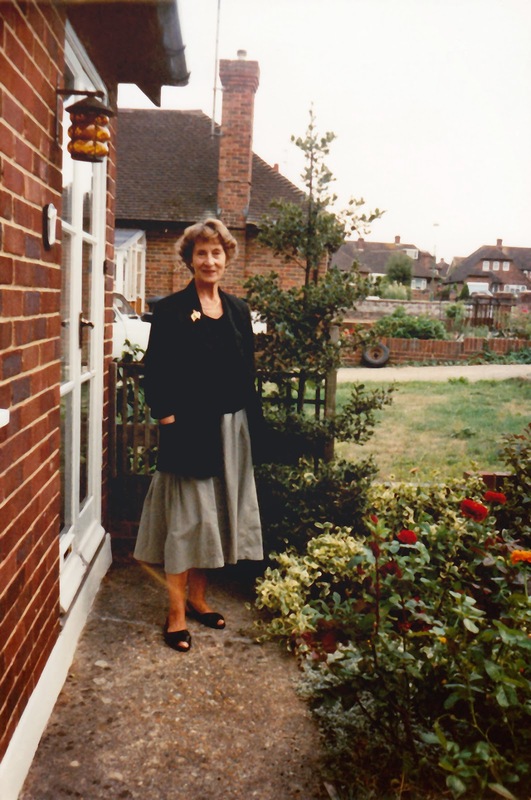 For the last 30 years of her life she lived on her own in a bungalow near Eastbourne, in Sussex. She made friends and took up yoga, which she continued with into her seventies. She was a very good gardener and until the last years, when she couldn't do things herself, her garden was a picture. She was also good at baking, in particular, and was well known for her shortbread and sponges. My mother was very independent, and got increasingly frustrated with her declining health. She will live on now, in her neighbours' s and relatives' memories. 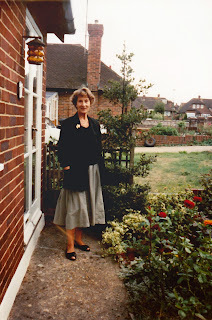 Thank you for sharing your mother's story; lovely photos. Same generation as my mother. My condolences to you, Sheila. Your mother was the same generation as my mother who also passed away after a decline in her health. She too was fiercely independent. It would've been her birthday yesterday... I like your "charm with an iron will behind it" - this resonates with me very much. Thank you for sharing her story with me.